"Kiss Of Death" screening with Victor's daughter, Victoria Mature, as the guest for the screening of one of her father's most iconic films, Henry Hathaway's Kiss of Death (1947). May 13th. Palm Springs Film Noir Festival This Week! The Arthur Lyons Film Noir Festival returns this week to the Camelot Theatres in Palm Springs, California, for its 19th edition with an exciting line-up of classic noirs and special guests. The 2018 festival, running May 10-13, kicks off with Farewell, My Lovely (1975) starring Robert Mitchum as Philip Marlowe. Jack O'Halloran, who played Moose Malloy, will be the festival's opening night guest. Victoria Price will appear Friday evening with The Web (1947), in which her father Vincent Price portrays the villain. Actress Ruta Lee will introduce Witness for the Prosecution (1957) on Saturday night. 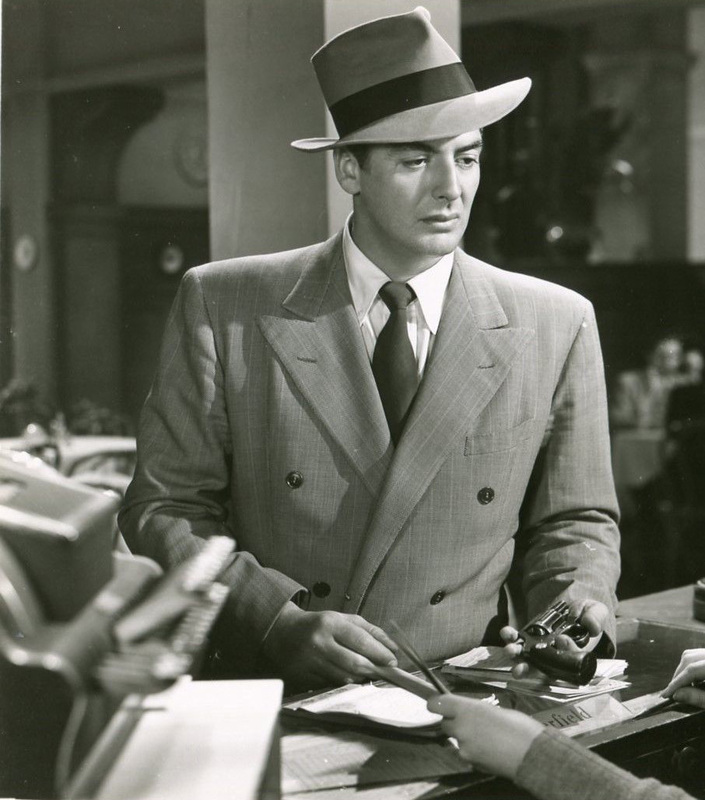 Victor Mature's daughter, Victoria Mature, will discuss one of her father's most iconic films, Kiss of Death (1947), at Sunday afternoon's screening. The FNF's most recent 35mm restoration, The Man Who Cheated Himself (1950), will screen Saturday afternoon, introduced by FNF prez Eddie Muller. The Arthur Lyons Film Noir Festival is hosted and produced by FNF board member Alan K. Rode. The full line-up, all access passes, and tickets to individual screenings are available on the festival's website. "I Wake Up Screaming" will be opening Noir City Austin. https://drafthouse.com/austin/program/noir-city-austin-2018 Thanks so much to Victoria for the information!